Washington has agreed to allow US defence contractors help Taiwan construct its own submarines, Taipei said, welcoming the breakthrough in long-standing ambitions to build up its fleet to counter the threat from China. 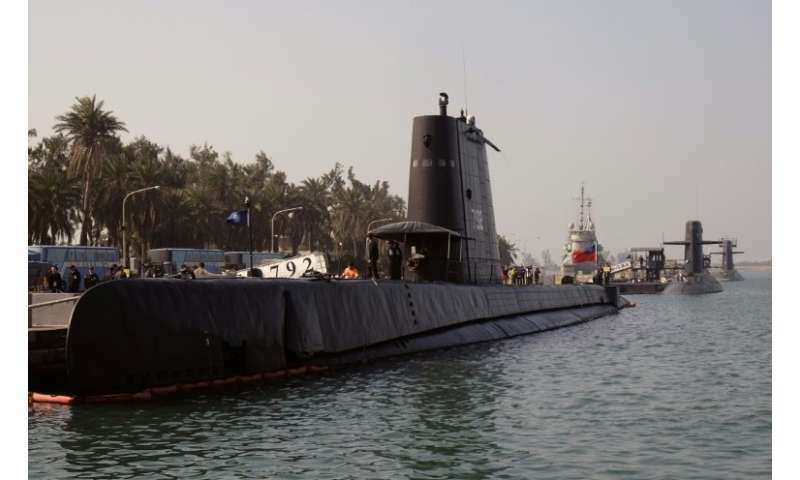 Taiwan last year launched a plan to manufacture its own submarines amid deteriorating relations with China after its hopes of buying them from the US came to nothing. The US State Department has approved granting the licence necessary to sell Taiwan the technology needed for its submarine project. The approval was a "breakthrough," Taiwan defence ministry spokesman Chen Chung-chi said Sunday. "It is part of a process. We'll take it step by step," he told AFP, declining to provide further details. The agreement is likely to anger Beijing, which regards the island as part of its territory even though the two sides have been ruled separately since the end of a civil war in 1949. Washington's approval comes after President Donald Trump last month signed new rules allowing top-level US officials to travel to Taiwan. China has protested at the move, saying the US should stop official exchanges with Taiwan to avoid "damaging Sino-US relations". Washington switched diplomatic recognition from Taiwan to China in 1979 but maintains trade relations with the island and is its main arms supplier. Since coming to power in May 2016, President Tsai Ing-wen has pushed for Taiwan to develop and build more of its weapons domestically. Her office expressed thanks to Washington for the licence approval. "The US government's decision will not only help Taiwan in raising its defence capabilities, it will also greatly benefit security and stability in the region," it said in a statement Saturday. Taipei has long struggled to procure submarines from the US. In April 2001 then-president George W. Bush approved the sale of eight conventional submarines but there had been no progress on the deal, prompting Taipei's decision to build its own. The United States has not built conventional submarines for more than 40 years and Germany and Spain reportedly declined to offer their designs for fear of offending China. Taiwan's navy currently operates a fleet of four submarines, bought from abroad but only two of them can be deployed in the event of war. The other two were built by the United States in the 1940s and are only used in training as they are too old for combat. The first domestically-built submarine is expected to be deployed within 10 years.